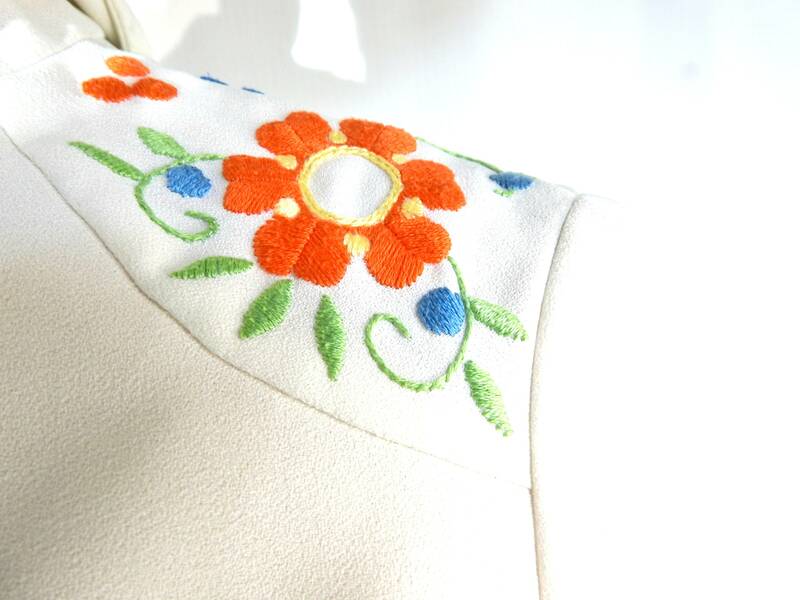 White dress with orange embroidery floral designs. 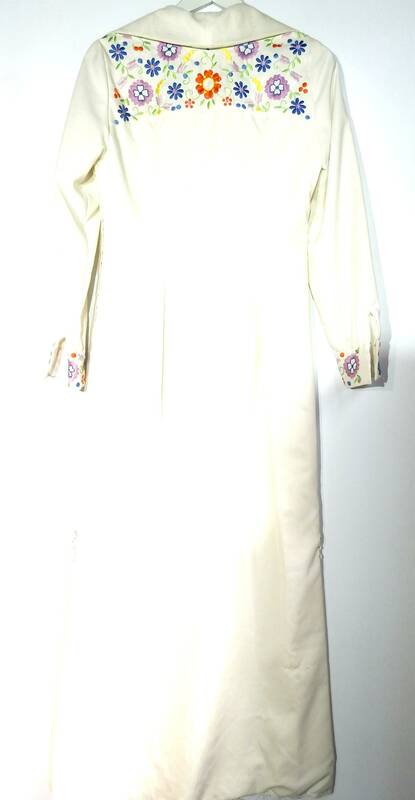 This is a phenomenal white dress with orange embroidery. 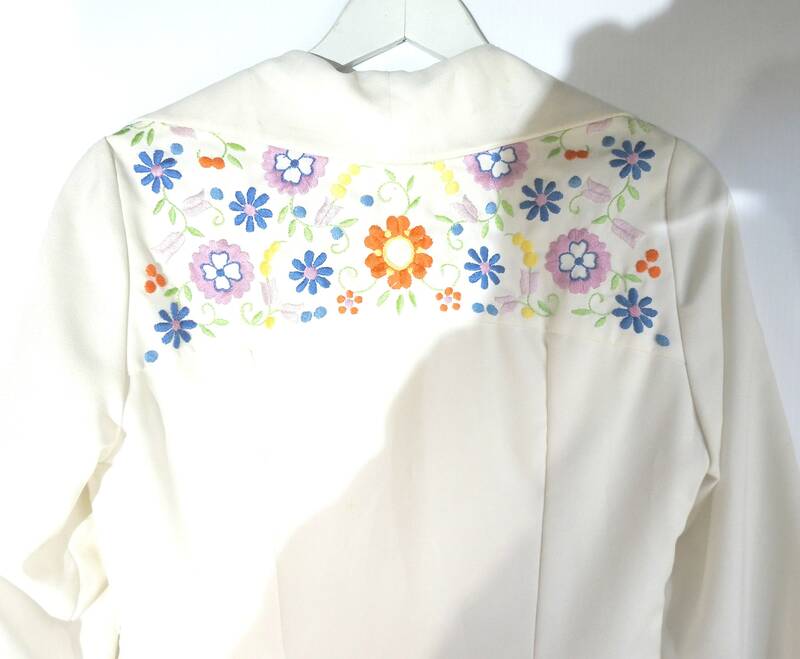 You feel like exploring unique white and fancy embroidered dresses? You will love this long-sleeved full-length dress. 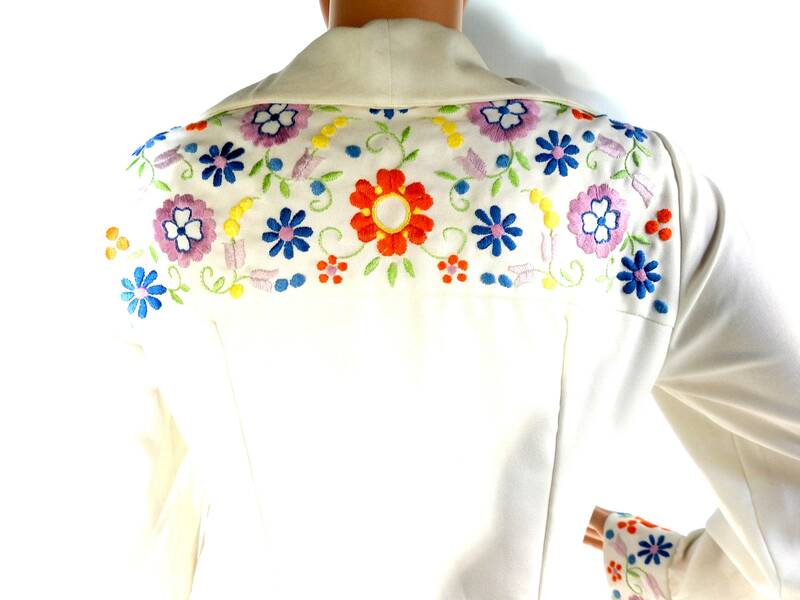 ● Long-sleeved, please note the beautiful embroidery designs on the sleeves. 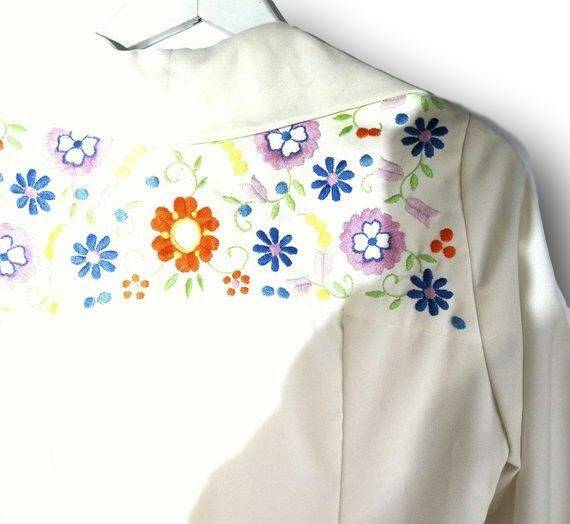 ● Floral embroidered in the back of the dress and on the long sleeves. ● Vintage fashion, 1970s style. 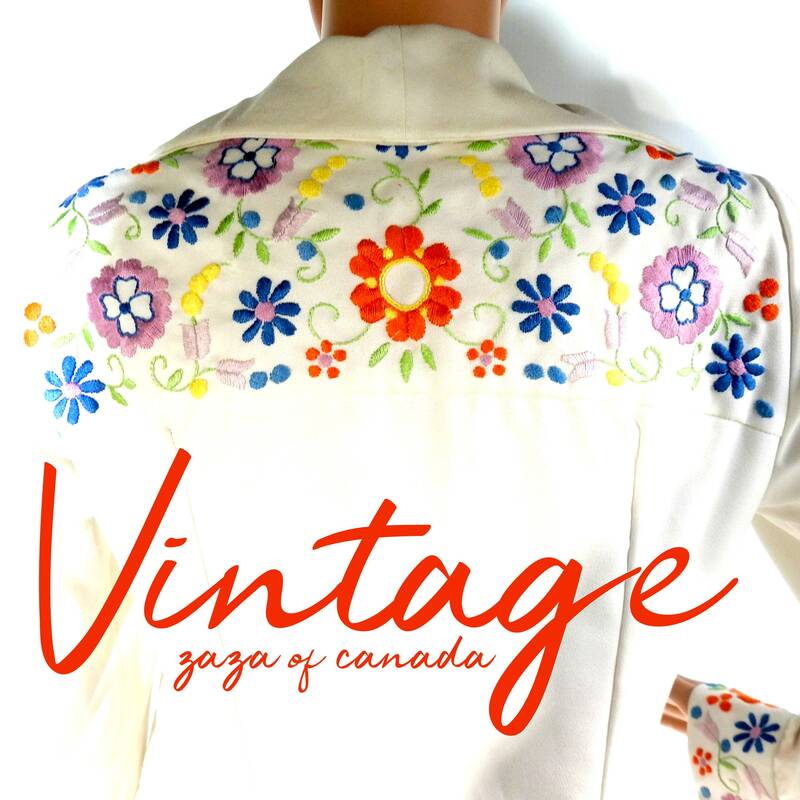 ● Origin: I found this vintage dress here in Victoria Bc. ● Brand: Original by Inge Marie. 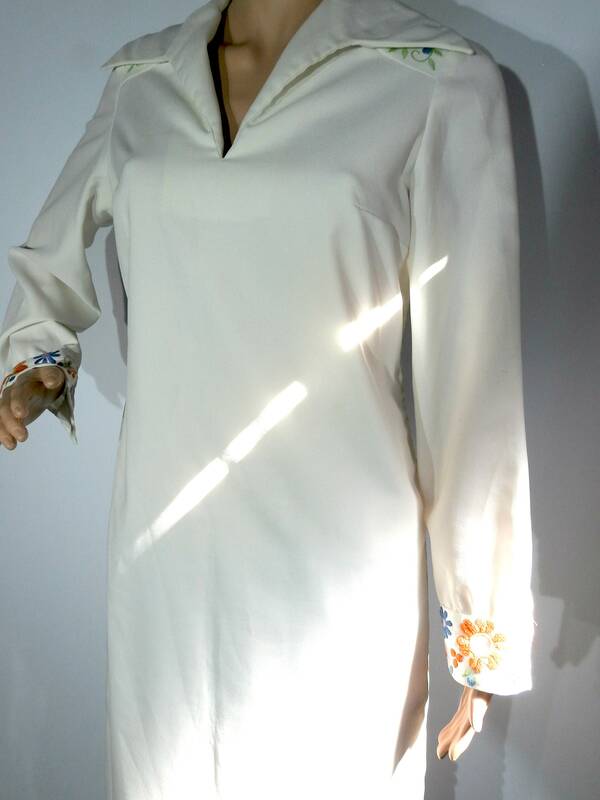 I made some research: Inge Marie was a famous mannequin during the late 60s, so MAYBE, the dress has some sort of connection with the 70s fashion icon. But I cannot bet on it! 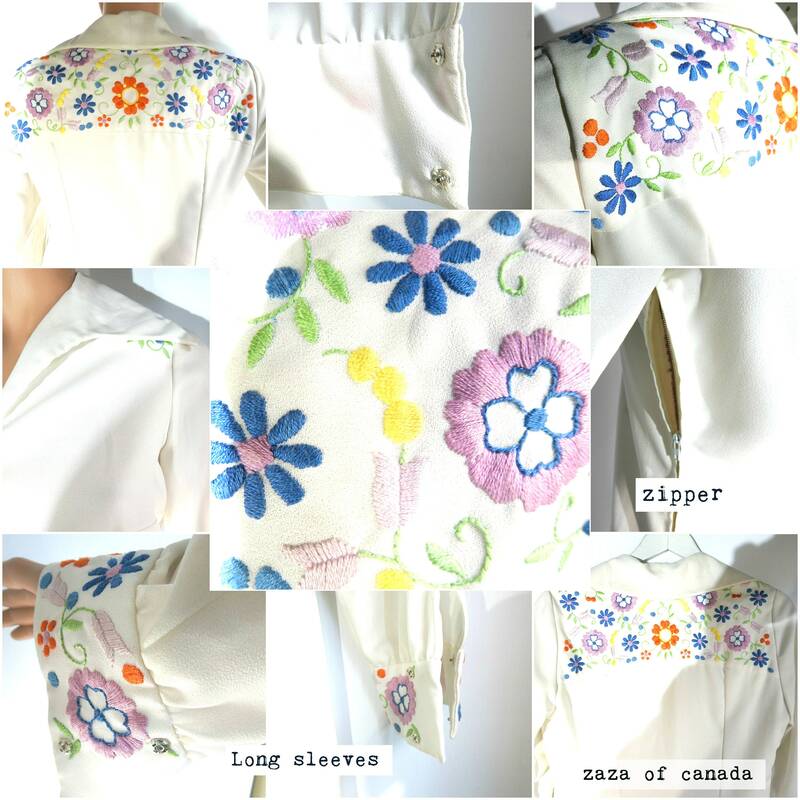 Thank you for exploring my vintage boutique and this uncommon white dress with orange embroidery!